WELCOME TO THE ALL EAST BAY PROPERTIES REAL ESTATE WEBSITE. All East Bay Properties website features all San Francisco’s East Bay real estate for sale or rent that are listed on the East Bay Regional Multiple Listing Service (MLS) – the database used by Realtors. 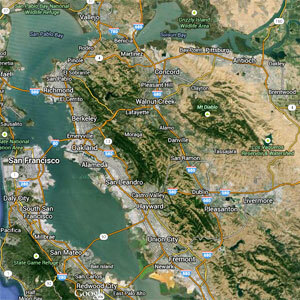 It covers homes in Emeryville, Berkeley, Oakland, Piedmont, Albany, Richmond, El Cerrito, and much more. Plus, our inventory of houses, condos and townhomes for sale or rent is updated in real-time, and includes ALL listings, something that Zillow and Trulia can’t say, so you can be sure to always have access to the latest and most complete home search information. Start your search for your perfect home today using our Interactive Map Search or Detailed Home Search.To help you in your search for the perfect home we have created pages full of information about various Communities including Emeryville’s ever popular Watergate and many others, Lifestyle information, insightful blog posts, and we have provided you with tools to save your searches and have matching listings emailed directly to you using our Property Organizer. Don’t forget to signup for our informative monthly E-Newsletter full of real estate related articles, tips and tools. If you are a home owner we can provide you with comprehensive property management services including full management or simple tenant screening and placement. Or if you are considering selling your property we can provide you with a free home evaluation. Still can’t find what your looking for? Give one of our knowledgeable agents a call or feel free to contact us.